When I get the neck shape roughed out, it's usually very hard to resist taking a little test drive with the guitar. 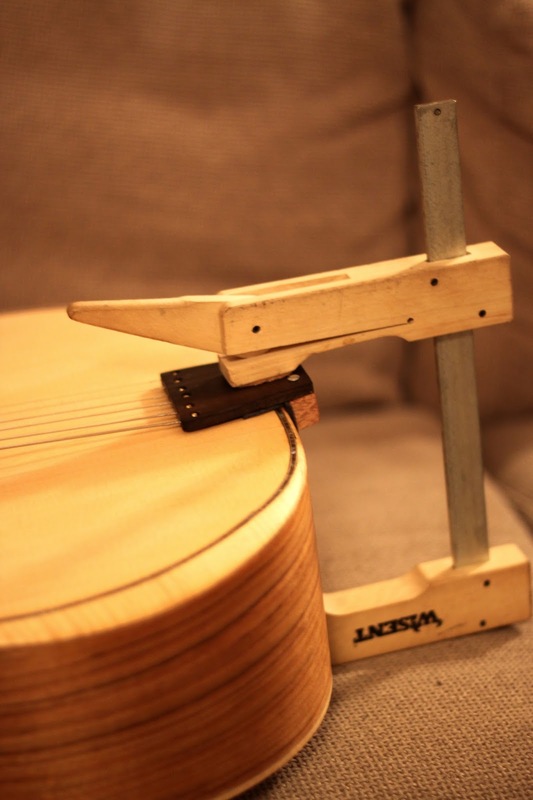 Of course this test driving serves some decent purposes as well, like checking the neck angle and the feel of the neck before final shaping and sanding. I also get an idea of the guitar's sound, although the trapeze tailpiece and poorly fitting, generic bridge won't get the tone "right there". Anyway, the guitar makes nice woody sounds, neck angle is correct and the neck plays in tune. Good to proceed to the finishing phase! 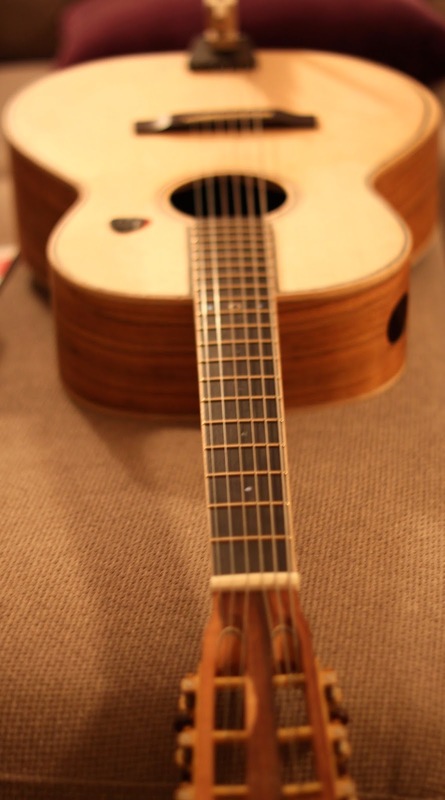 A simple tailpiece: ebony fingerboard off-cut with holes to take the strings (2mm) and their ball ends (4mm). There is a 90° angle stop piece and some leather padding underneath to keep the thing in place and prevent scratching of the top. The cam clamp doesn't add anything good to the aesthetics, weight or tone of the guitar, but I wouldn't remove it either... at least when the strings are in pitch. Serious injuries, both personal and material, might occur.